By using a Virtual ID or VID, an Aadhaar card holder will not be required to share his or her Aadhaar card number at the time of authentication. Aadhaar Virtual ID can be used in place of actual Aadhaar card number for various purposes. You will soon be able to quote your Aadhaar virtual ID or VID just as you use your Aadhaar card details with service providers like banks, telecom companies etc. This was said by UIDAI or Unique Identification Authority of India, the issuer of the 12-digit Aadhaar card number as well as that of the Aadhaar card, on microblogging site Twitter. UIDAI recently launched the Aadhaar virtual ID - also known as VID. Aadhaar Virtual ID is a 16-digit temporary ID, generated through the UIDAI portal - uidai.gov.in - that can be quoted as an alternative to providing the Aadhaar card number or Unique Identity Number (UID). An Aadhaar card holder using an Aadhaar VID will not be required to share his or her Aadhaar card number at the time of authentication. Currently, Aadhaar card holders can generate the virtual ID through the UIDAI website. 1. Virtual ID is a 16-digit random number, which together with biometrics of the user gives limited details such as name, address and photograph - enough for any verification. 2. A virtual ID or VID can be used in place of Aadhaar card number for various purposes, including mobile SIM verification. 4. "Soon, service providers will start accepting VID in place of Aadhaar number," the UIDAI said. 5. 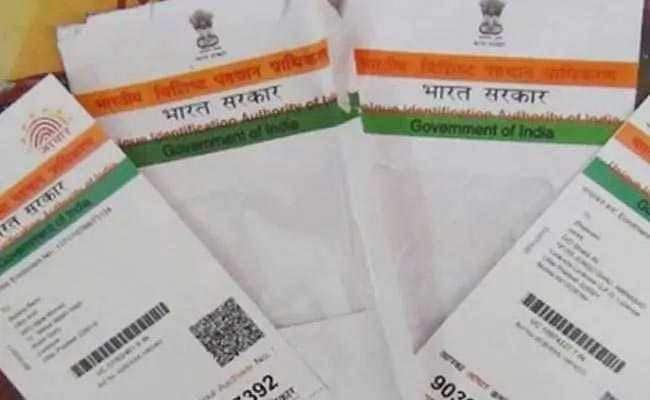 The UIDAI had in January this year introduced the concept of Virtual ID (VID) to safeguard Aadhaar cardholders' data amid privacy concerns around the programme. The UIDAI provides several online facilities for Aadhaar holders. One of these online tools enables Aadhaar card holders to generate a 16-digit Virtual ID (VID) by entering their UID. This tool can be accessed by clicking on the 'Virtual ID (VID) Generator' link on the homepage of the UIDAI portal. The facility enables a user to verify his or her identity through an OTP- or One-Time Passcode-based process, according to the UIDAI website. The Aadhaar platform helps service providers authenticate identity of residents electronically, in a safe and quick manner, making service delivery more cost effective and efficient.